It used to be that a retirement pension was common. It was typical for someone to work for a company for 20 or 30 years and retire with the proverbial gold watch and a pension. The so-called “three-legged stool” of retirement income was made up of personal savings, Social Security benefits, and a pension. The pension and Social Security benefits provided a guaranteed monthly income for the rest of the retiree’s life. Times have changed quite a bit over the last couple of decades. Driven mostly by employers’ desire to reduce their long-term liability exposure, pension plans have become increasingly rare. They have been mostly replaced by 401(k)s or other employer-sponsored savings plans. But some people are lucky enough to still have a pension, and it will be a big part of their retirement plan. If you are one of the fortunate ones, you will have some decisions to make when you are ready to retire. First, you have to decide when to start receiving your pension benefits. Some plans offer payout options that work similarly to Social Security benefits. You can start receiving benefits early—say, at age 62—but you will receive a smaller amount. Or you can wait until a later date, like age 65, and receive a larger payout. Perhaps the biggest decision you will need to make is how you will receive your benefit payment. You might have a lump sum option that allows you to cash out of the plan. You will also have a couple of options that offer you monthly payments. If you take a lump sum payout, you eliminate the possibility that your employer may default on your pension. With all the reports of unfunded pension obligations, this is a real risk. There is some protection provided by the Pension Benefit Guarantee Corporation, a government agency that “insures” your benefit up to federally determined limits. But that means that there is a possibility you would not receive your full benefit. On the other hand, if you cash out, you take on the investment risk of managing those funds. Most people who take a lump sum do so by rolling over the proceeds into an IRA. This allows you to control the tax consequences of your distribution. If you decide not to take a lump sum, or if your plan doesn’t allow for one, you will need to decide how to receive your monthly payments. You usually have the choice of receiving payments for the rest of your life (a single life annuity) or selecting from a variety of survivor options (joint and survivor annuity) that allow for your beneficiary to continue to receive payments after your death. If you choose payments for your life only, your monthly income will be higher. The survivorship options result in a reduced payment. For example, you might qualify for a $1,500/month payment for the rest of your life, but if you choose the survivor option, your payment might be $1,000/month. That’s because the payment is now guaranteed to cover two lives. 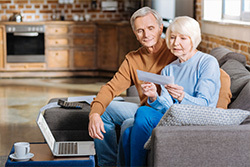 It should be noted that if you are married, the IRS requires that the benefit from a qualified retirement plan be paid out as a survivorship option unless both you and your spouse authorize another form of payment. At first blush, the survivorship benefit is the logical choice. After all, you want to make sure that your spouse is provided for after your death. But is that really the best decision? The answer, as with most financial decisions, is that it depends on your personal situation. There are times when it makes sense to take the single life payout, and times when the survivorship option is best. When trying to decide which is best for you, you should consider several things. How old are you and your spouse? What about your respective life expectancies? How is your health? Your health history? Your spouse’s health and health history? What other sources of retirement income might be available to you or your spouse after one of you passes? Do you have life insurance? What would be the impact of the death of one spouse on your combined income? What about the impact on your combined expenses? As you can tell, there is not an easy answer that is right for everyone. The purpose of this post is to highlight some of the things that need to be considered as you prepare to move into the retirement phase of your life. If you are lucky enough to have a pension, you need to get this right the first time because you don’t get a second chance once you start receiving benefits.